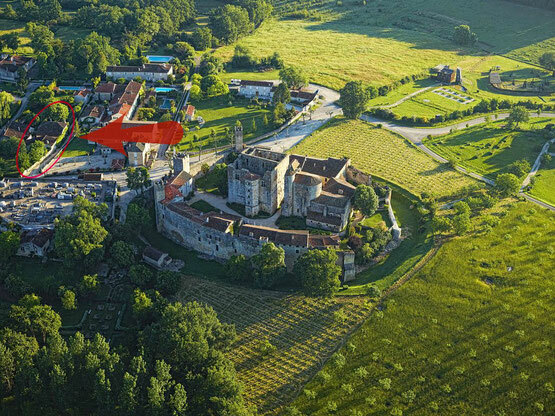 For The New York Times, Gascony is the most delicious corner of France. Historic setting just outside the castle walls of the 13th century fortified village of Larressingle in the Gers. The cottages are located just out of sight of the castle, but with easy access to the bar/creperie within the castle walls, and two nearby restaurants. The Gascony region of south-west France is still relatively undiscovered by tourists, and so provides the chance to relax and enjoy something of the real France. Larressingle is in the heart of the rolling Gers countryside., in fields of sunflowers and Armagnac vines. Duck dishes, foie gras and prunes (some prune trees in the garden bear ripe fruits in summer...) are the local specialities, washed down with the local speciality, Armagnac (a fortified wine similar to cognac) or the local aperitif 'Pousse Rapiere' (the rapier thrust, which is delicious but just as lethal as it sounds!) or "Floc de Gascogne"! Many of the local “domains” offer the chance to taste the local wines and Armagnac. The bustling market town of Condom is only 5km away and offers all amenities and a range of restaurants.The Gers is one of France’s richest agricultural regions and this is reflected in the local cuisine. The area abounds with history with its medieval fortified villages at Fourcès, Montréal du Gers, La Romieu, l'Abbaye de Flaran, to name but a few. Colourful weekly market in Condom, as well as at nearby towns of Nérac, Eauze and Lectoure. (L'été photographique de Lectoure). Art : Les chemins d'Art en Armagnac, a permanent exhibit at Abbaye de Flaran, Espace Saint Michel in Condom (at the end of July many of the numerous British artists living in Gers organise an exhibit). Jazz in Marciac with, this year with Joan Baez, Bandas Festival in Condom on May 12, 13 & 14. Chateau de Larressingle: on your doorstep, as are the Medieval War Machines with daily hands-on demonstrations. Condom: nearest large town with its Cathedral dominating the town centre. Wide-range of shops and restaurants. Also the Armagnac Museum, and daily boat trips on the River Baise. Ancient villages of historical interest at Montreal (10km), Fources (15km), La Romieu, Flarans. Weekly markets at Condom, Nerac, Eauze, and Agen. "Parc Walibi", part of the Six Flags empire is at Roquefort near Agen (30km), smaller than many theme parks, but perfect for a family day out, and tickets are good value for money. Bordeaux and the Bordeaux vineyards eg. St Emilion about 90 minutes drive, a great opportunity to stock your wine cellar. Just next door, for children "Camp de Siège Médieval in Larressingle" Middle ages Camp siege. For children in Nogaro, Vélo Rail ***(family ou group) do not forget to book for the ride, on line or by phone ! Nearest base de loisirs (leisure park) is at Montréal du Gers (10km), a natural lake, with water slides and a sandy beach. At Gondrin (15km) is a huge man-made outdoor pool, with bumpy slides and corkscrew slides, and a large playground. 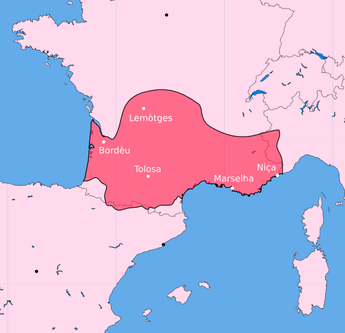 Further bases de loisirs are at Lislebonne (near Mézin, 10km), Barbotan les Thermes (20km), Lectoure (25km) and more. All good places for a game of boules, badminton, beach volleyball etc. At Condom there is an outdoor public swimming pool, with a full set of diving boards and a grassy area for sunbathing. Horse-riding at Escalans (20km), Poudenas (15km) and Les Ecuries d'Armagnac at Valence sur Baise (30km) also offer guided hacks (in English) out into the hills. Tennis - courts available at Condom, Eauze and Gondrin. Golf de Guinlet (18 holes) at Eauze (15km), beautiful, wooded course - said to be the best in the area. Mountain biking: various routes around the area, bike hire at Mézin and other places. Karting, quad bikes, light aircraft all available at Caudecoste (50km).